A men linen suit will not feel the same as a polyester suit, and a polyester suit will not feel the same as a wool suit...etc. 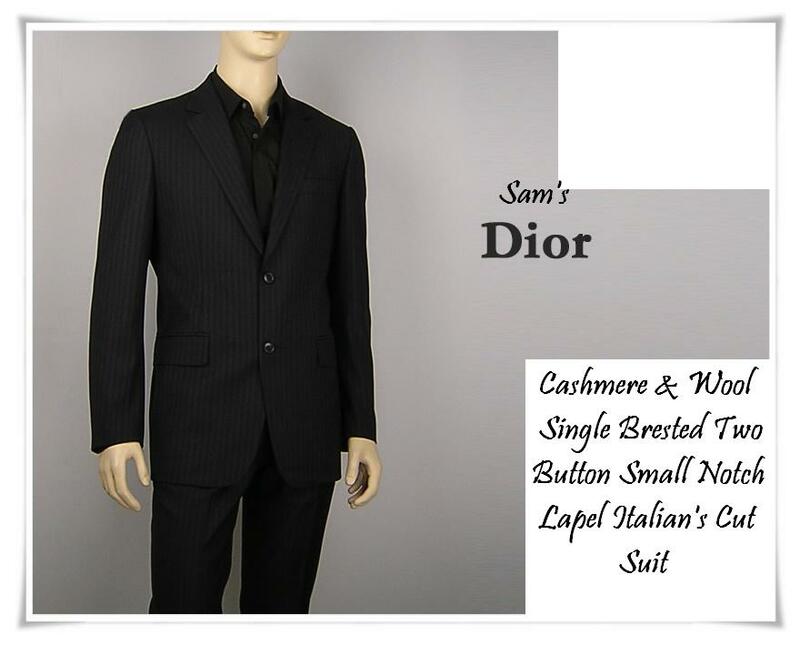 Also a suits price will vary greatly depending on what kind of material it is made up of. Below you will find a brief overview of the different types of suit material you may find while searching for your ideal suit. 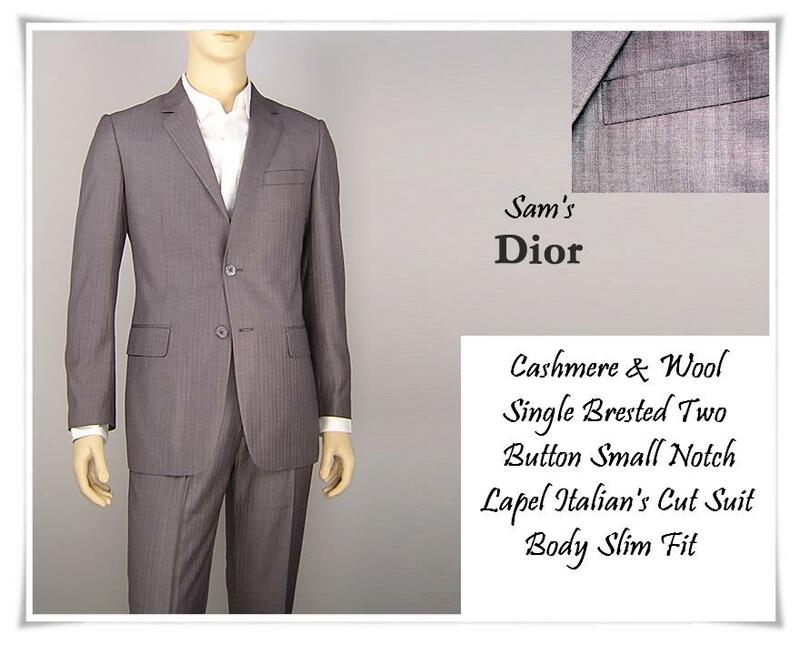 Cashmere suits are highly coveted for their soft feel and quality of fiber. The quality of this material is well renowned throughout the minds of consumers everywhere.This material is great to have on you when you live in an area with rapid climate changes. The reason for this is because it tends to insulate you depending on the moisture levels of the air.Another great benefit is that it is softer than even linen or cotton making it feel great on the skin.Also if you've ever watched Seinfeld you know that beautiful women will walk up to you and feel your material before asking "is this cashmere". The cotton suit isn't the most popular suit on the market, but cotton is the most popular fabric for clothing. In my humble opinion this is because cotton is cheap, wrinkles easy and is not meant for all types of suits. However, as always there are advantages and disadvantages to wearing one.This material is nice and breathable and makes for a nice comfortable fit. Also the material is inexpensive and therefore these garments are usually much less expensive than their counterparts. The flannel suit is made from thick worsted wool or a wool/cotton mix. It is similar to tweed and herringbone suits but much softer in feel.This material is heavy enough to make a great winter suit but not quite heavy enough as to be useless in spring and fall temperatures. The versatility of the fabric gives it the ability to provide both plain and textured patterns. Also, its soft feel makes it more luxurious than most winter suits.Suits made from this material are more rare than standard worsted wools and can cost more. Although this suit will be lighter than most winter suits, it is still a winter suit and can be uncomfortable to wear in the hot summer months. Wearing a men linen suit is gonna be one of your more comfortable options when choosing a suit material. Linen is one of the oldest materials in the world and has many advantages as well as disadvantages.These suits are are light and resist moisture which makes them great for summer or heavy sweaters. They are also machine washable meaning you won't have to read my page on finding a good dry cleaner after all. 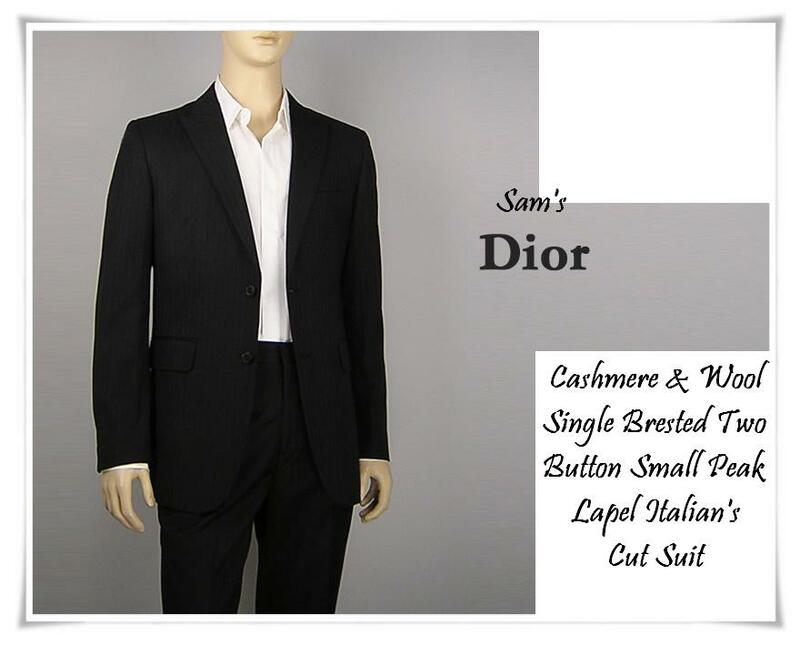 The poplin suit is made of a combination of lightweight fabrics to include: silk, cotton, worsted wool, and even polyester. This silky smooth material is found mostly in high end models.This material is lightweight and makes a great summer suit. Also the silky smooth feel to the fabric makes it a great luxury suit. You can't go wrong wearing using this material for your luxury summer suits. Seersucker suits are a type of cotton suit specifically made for warm weather. These garments are great for keeping cool in late spring through summer.Materials are woven differently from the traditional cotton clothing. Strands of fabric are bunched together in some areas of the design to help keep the jackets and pants away from your skin.Colors are usually white with blue stripes, but you can find just about any color imaginable. Tweed suits are a heavy form of wool suit. They are made from a coarse woolen material created by combining three different color yarns. The yarns are twilled, leaving a distinctive pattern not found on other types of suits. 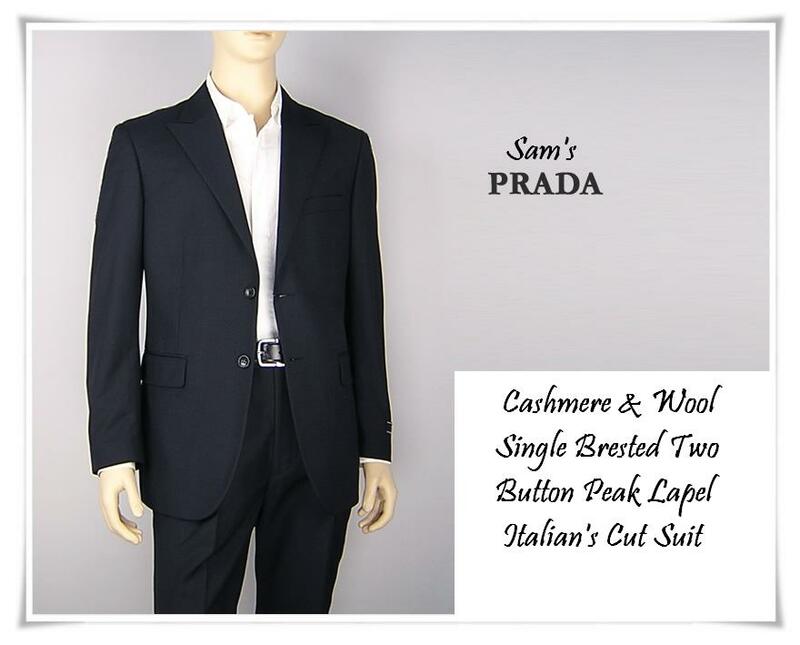 Wool suits are currently the most popular suits on the market. There are also many different types of wool to look. For instance men suits can be made from virgin wool and worsted and can even be spun at different speeds to provide different comfort levels.This material can be spun at super 90's all the way up to super 200's. The higher the number the higher the quality. Look to buy something that starts at super 100's and above. Our master's cut is as superior as Giorgio Armani, Kiton, Brioni, Versace, Prada, HugoBoss, Kenzo, Cerruti 1881, PaulSmith,Gucci, Savile Row London,Christian Dior, Ralph Lauren, YvesSaintLaurent, Dolce & Gabana, Piere Cadin, Valentino, Lanvin, Balenciaga, Bottega Veneta, Louis Vuitton, Tom Ford, Jil Sander, Hermes, Brook Brother and all the popular brand names available in Fashion's Business. We are long well established Custom Tailoring Service Store in Bangkok, Thailand since 1975, most of our clients would call us Bespoke Tailor. Our reputation is well known even among other local tailors as well as government's officers, famous businessmen, lawyers, doctors, teachers, professors, bankers, hotel's manager, hotel's staff so many other occupation whom needed to wear proper attires to suits their characteristics, styles, habits, postures, looks and professions.